On 3 February 2017, the University of Sheffield School of Law—in co-operation with the UK Constitutional Law Association and the European Circuit of the Bar—hosted a seminar. The keynote speaker was Michael-James Clifton, a barrister and now Chef de Cabinet in the Chambers of the President of the EFTA Court, Professor Carl Baudenbacher. The EFTA Court—based in Luxembourg—fulfils the judicial function within the EFTA system, interpreting the Agreement on the European Economic Area with regard to the EFTA States party to the Agreement (currently Iceland, Liechtenstein, and Norway). The EEA/EFTA model (often referred to as the ‘Norwegian model’ in UK discussions) has frequently been mentioned as a possible route forward for a post-Brexit UK. However, little is known about the EEA/EFTA model in the UK. The seminar was thus designed to raise awareness of the model in the UK, and to consider how the EEA could form the basis for the future relationship between the EU and the UK. As the Prime Minister has given notice under Article 50 TEU, the contents of the paper remains highly relevant. Mr. Clifton’s paper, given in a personal capacity, assessed the conceivable options for the UK to forge a mature, co-operative relationship with the remainder of the EU and beyond. It considers the white papers published by the UK Government and the devolved administrations of Wales and Scotland against the background of the potential post-Brexit models mooted since the referendum: the EEA as it presently stands, the institutionalised Swiss model (including ‘docking’), a potential bespoke FTA, and the WTO. It takes as a working assumption that the two-year negotiation window provided for by Article 50 TEU is unlikely to be extended. Evaluating the options, it concludes that an updated version of the EEA Agreement could be a natural home for the UK post-Brexit: a solution which could also be in the interests of the EU, EEA/EFTA States, and potentially Switzerland. The report is available to download by clicking here. This report was edited by myself and Kristi Boyes (LLB student at the University of Sheffield). At the seminar, Dr Richard Kirkham (Senior Lecturer in Public Law, University of Sheffield) and Professor Tamara Hervey (Jean Monnet Professor of European Union Law, University of Sheffield) acted as discussants. Professor Robert Burrell (Professor of Law and Head of School, University of Sheffield) acted as Chair. 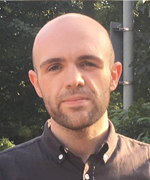 Joe Tomlinson is a Lecturer in Public Law at the University of Sheffield. There was for a while some discussion of the UK re-joining EFTA in the Swiss sense, not the EEA part, but the EFTA alone part. This would mean access to the EFTA free trade agreements of which it has 30+ around the world and to free trade with Switzerland, Norway, Iceland and Liechtenstein. I have heard nothing about this lately though. This entry was posted on April 6, 2017 by Constitutional Law Group in Europe, European Union, Events, Scotland, UK government, Wales and tagged Article 50 TEU, European Economic Area (EEA).